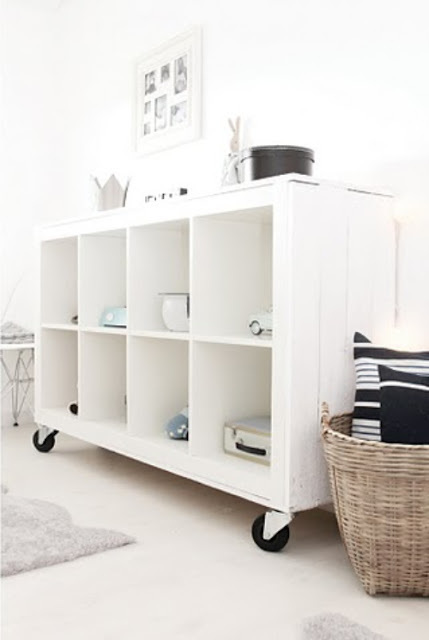 While visiting Kjerstis Lykke's blog ogling kitchens I came across some fab do it yourself furniture idea's. This bookcase is one of my favorite Ikea hacks I've seen. 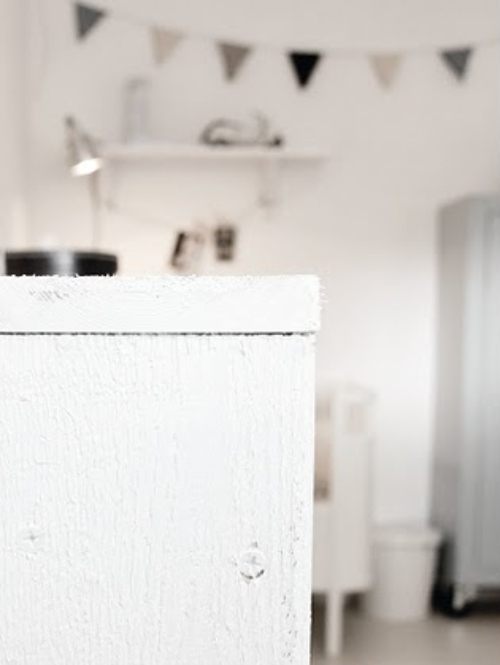 Kjerstis took the Expedit bookcase and simply covered the sides and top with rough planks, and added casters, before painting the whole thing white. Kjerstis also made a great coffee table screwing rough planks together, staining with a light drftwood stain and adding wheels.